A massive solar eruption is about to hit Earth, and the resulting northern lights could be spectacular just before New Year’s Eve for those in the right latitudes. 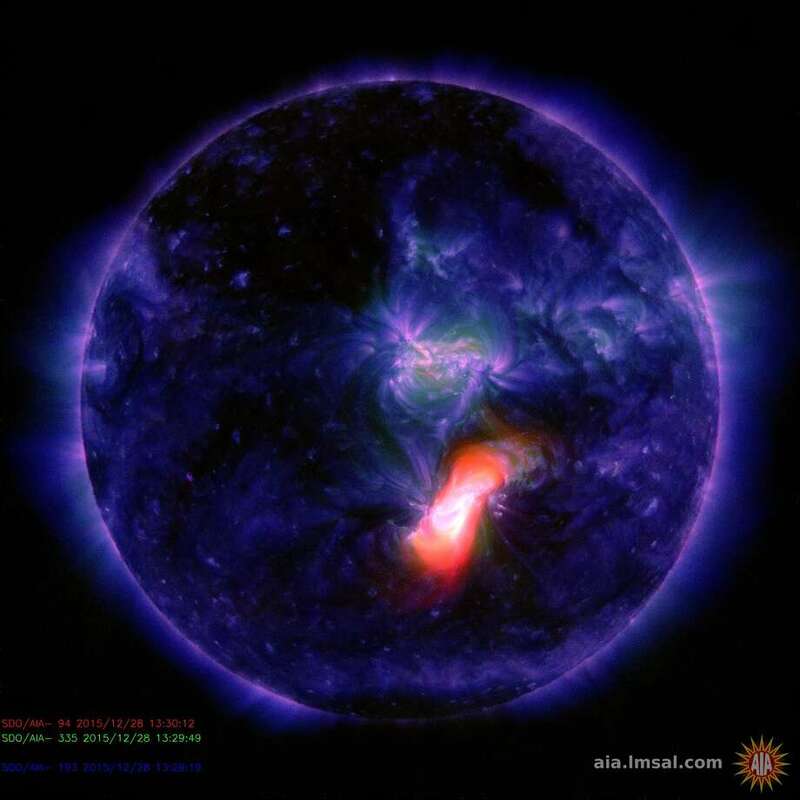 On Monday, a powerful M1.9 class solar flare erupted from the sun. The solar phenomenon will hit Earth early in the morning on December 30th, and the effects could linger into New Year’s Eve. NOAA is predicting a strong “G3” class geomagnetic storm. The rating system classifies the magnetic fields created by these solar events on a scale of G1 to G5. A G3 storm like what will hit this week can create fluctuations in power grids, cause radio blackouts in the higher latitudes, and even affect GPS reception. A less common G4 storm would create northern lights visible in California. When the electricity hits the upper atmosphere, it glows just like a neon light. If you’re flying early in the morning on December 30th, or live in the northern states, you’re likely to see the northern lights between 2 a.m. and 6 a.m. These watches are in response to consistent WSA-Enlil modeling results and SWPC forecasters’ determination that a coronal mass ejection (CME) impact is likely just after mid-UTC day on 30 December with residual CME effects continuing into 31 December. The CME impact may cause a sudden impulse geomagnetic response at Earth, likely resulting in the G3 conditions. The CME was associated with a long-duration M1 flare (R1-Minor radio blackout) that peaked at 1245 UTC (0745 ET) on 28 December, 2015. Keep checking the SWPC website for continued updates. Aliens, Moon Bases: What Else Is NASA “Hiding”?